Priced below KBB Fair Purchase Price! Alloy Wheels *, Backup Camera *, Bluetooth*, Moonroof*, Navigation System*, Memory Package*, Remote Start*, Leather Seats*, Cooled Seats*, Heated Seats*, Panoramic Roof*, Adaptive Cruise Control*, Adaptive Cruise Control w/Stop, Advanced Brake Assist, Auto High Beam Headlamp Control, Blind Spot & Cross Path Detection, Exterior Mirrors Courtesy Lamps, Exterior Mirrors w/Supplemental Signals, Full Speed FWD Collision Warn Plus, Lane Departure Warning Plus, Navigation System, ParkSense Front/Rear Park Assist System, Power Multi Function Mirror Manual Fold, Quick Order Package 22T Limited, Rain Sensitive Windshield Wipers, SafetyTec Plus Group. Hambelton LaGreca Super Center WWW.hamlag.com. 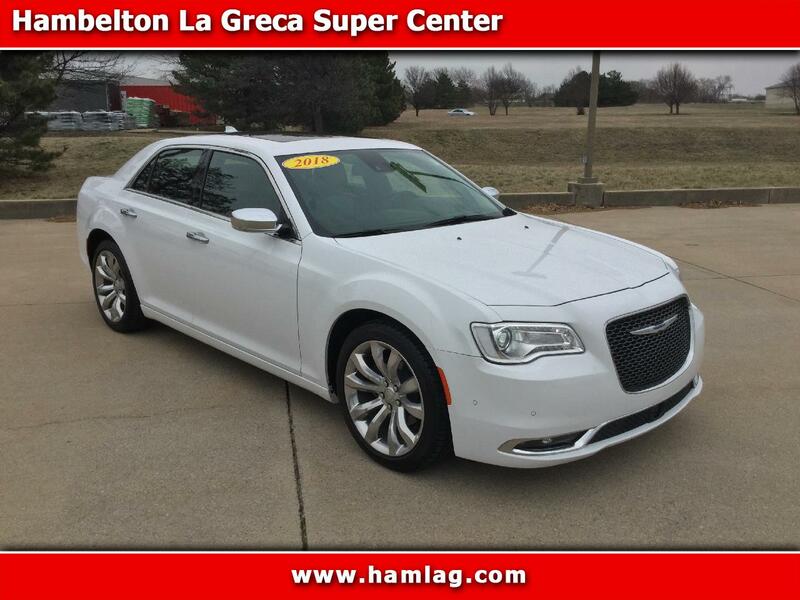 Bright White Clearcoat 2018 Chrysler 300 Limited 4D Sedan 3.6L 6-Cylinder SMPI DOHC RWD 8-Speed Automatic Excellent Financing Available!